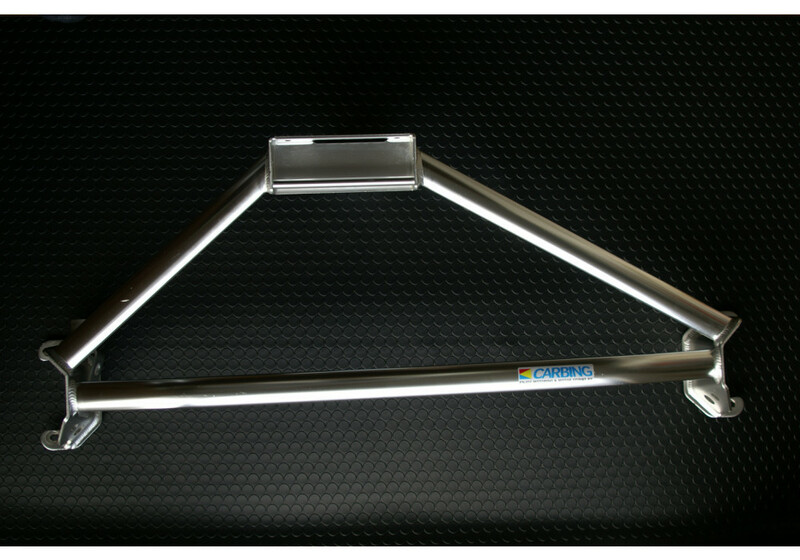 Product from JAPAN. 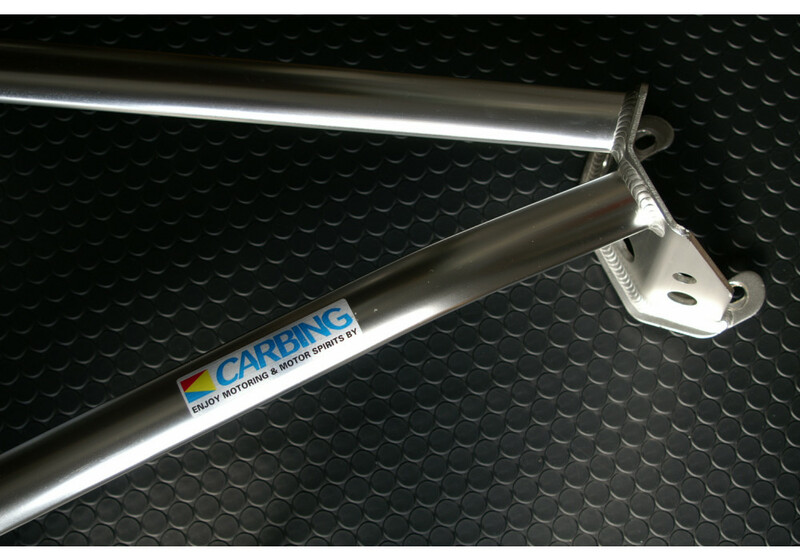 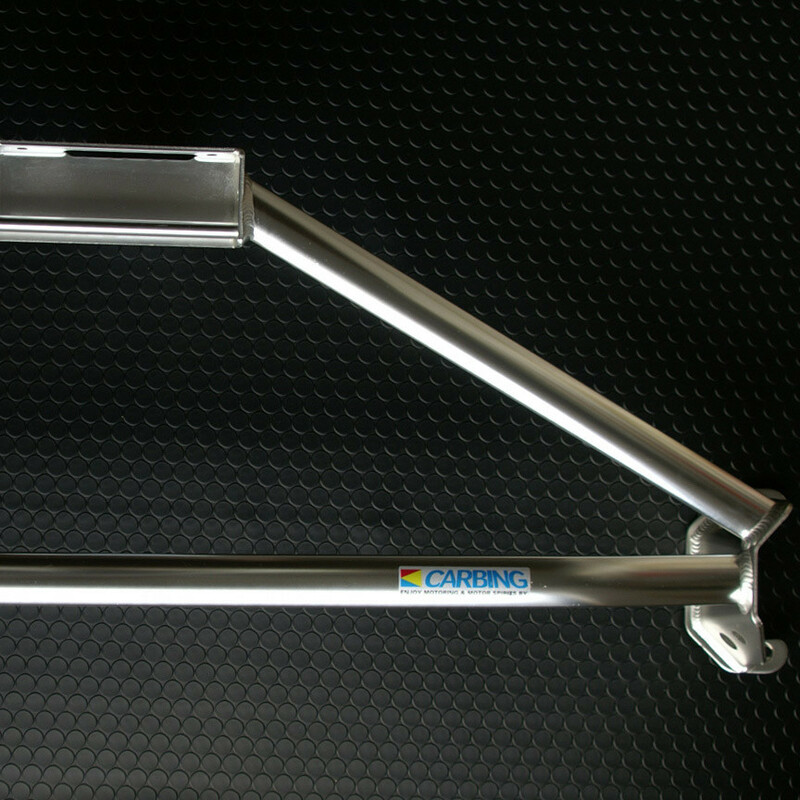 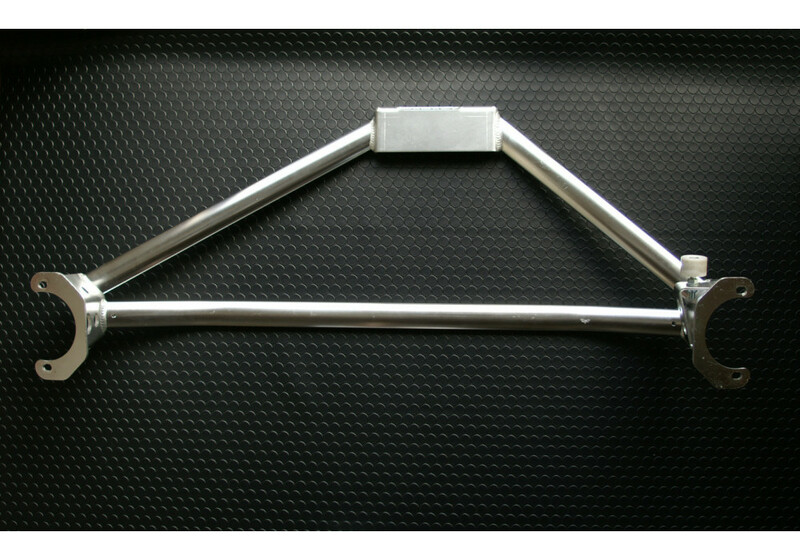 Aluminum 3 point front strut tower bar made by CARBING for maximum chassis rigidity. 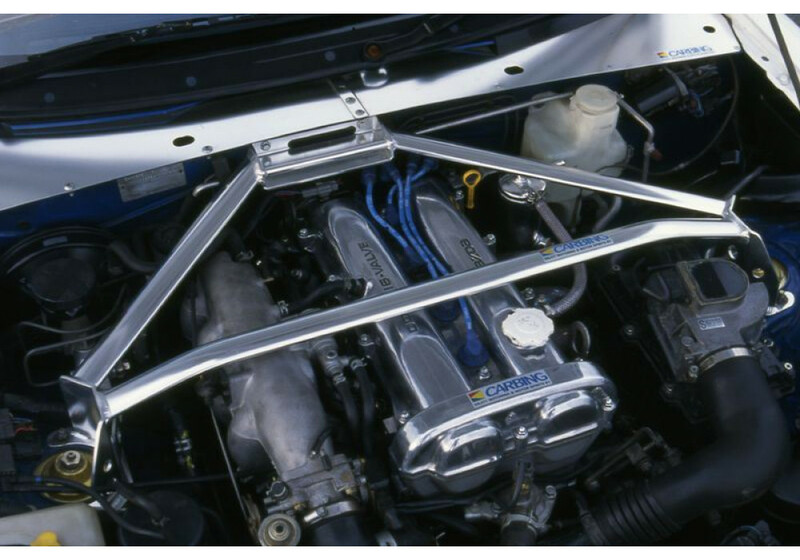 You cannot get a better strut bar than this. 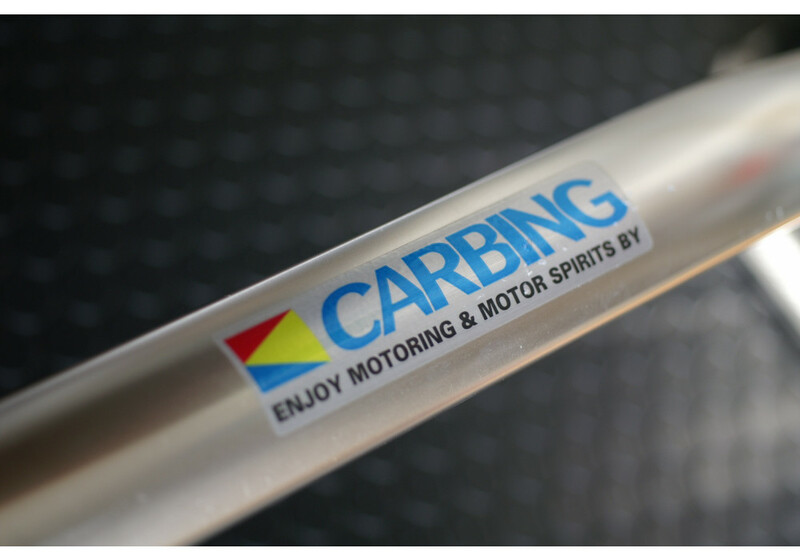 DISCONTINUED SINCE 2016 Carbing Front Strut Bar Type 2 should be ordered at REV9 Autosport https://rev9autosport.com/carbing-front-strut-bar-type-2.html as they provide the best service and speed we've seen so far!